Say the words “Jewish ice cream entrepreneurs” and the names Ben Cohen and Jerry Greenfield pop into one’s brain as predictably as hot fudge does when you say sundae. Indeed these Vermont icons created an admirable model for building a business based on quality products and a social conscience. But the guys who invented Cherry Garcia® and Chunky Monkey® don’t have a corner on Jewish ice cream entrepreneurship. Polish immigrant Reuben Mattus, founder of Häagen Dazs, helped revolutionize the ice cream world with his super-premium brand that boasted not only a distinctive name but a deliciously high butterfat, and an absence of the stabilizers commonly found in commercial brands. At his side was his wife, Rose, who helped build the company by giving out samples in grocery stores. As controller, she handled the company’s day-to-day business affairs. Of course, we also can’t forget brothers-in-law Burton “Burt” Baskin and Irvine “Irv” Robbins who founded the international chain of ice cream emporiums that share their names. Today the spirit of Jewish ice cream and frozen treat entrepreneurship is thriving. We offer as proof the stories of three women: Robyn Sue Fisher, of Smitten Ice Cream; Kim Oster Holstein of The Crave Bar; and Fany Gerson of La Newyorkina. Though their paths and products vary, they share a commitment to creating unique, artisan-caliber products that enthrall even the most exacting member of today’s flourishing foodie culture. Robyn Sue Fisher’s affection for ice cream runs through the summer evenings of her Boston childhood like a swirl of marshmallow cream through a pint of Rocky Road. “My mom would tell me that I had two stomachs, one totally reserved for ice cream,” she says. “Building a business around those moments was very attractive to me,” she says about the origins of her Smitten Ice Cream business that recently opened its fifth location in the San Francisco area. Described on its website as “new old-fashioned,” Fisher’s ice cream is made from scratch and to order from organic milk and cream and other fresh ingredients from local farms. When she read the ingredients on ice cream cartons, “I couldn’t pronounce many of them. “Why did all this stuff have to be there – emulsifiers, preservatives, stabilizers?” she wondered. What she learned when she started investigating was that commercial ice cream is usually made in large batches and has to be distributed over a wide network, necessitating the additives to maintain quality and consistency. Her conclusion: Why not make it to order and focus on the taste? In the fall of 2009, Robyn bungee-corded Brrr™ atop a Radio Flyer® wagon and began selling made-to-order ice cream on the streets of San Francisco, with the help of pastry chef Robyn Lenzi. People would wait patiently in line for half an hour for their cones. During the red wagon stage, she attended her two-year grad school reunion. Her former classmates asked what she was doing. “I would say, ‘I’m selling ice cream on the street’ and they would ask, ’You mean Wall Street?’ And I would say, ‘No, the streets of San Francisco.’” People laughed. Robyn Fisher with Brrr™, her ice cream machine. Photo courtesy Smiiten Ice Cream. Smitten Ice Cream's first location in San Francisco. Photo courtesy Smiiten Ice Cream. Buoyed by the growing number of devotees, she opened her first stationary location—in a recycled shipping container—in April 2011 in the Hayes Valley neighborhood of San Francisco. Her crew took on the title of “Brrristas™.” Five other locations followed, including two more opening this summer and two more in the fall. Smitten also offers catering which is called “wagoneering,” and has done many weddings and private events, especially for Bay Area tech companies. Each location offers four to six flavors a day, depending on the shop. “Our 60.5% TCHO Chocolate is to die for,” Fisher says. “And the most popular flavors are Salted Caramel and Fresh Mint Chip.” The latter, she explains, uses real mint and is pale, not bright, green from the leaves, since no food coloring is used. Chef Lenzi works on flavor development and flavors change frequently, depending on seasonal produce available. For spring, for example, one may find Strawberry White Balsamic or Lemon Gingersnap; for summer, Sweet Corn with Berries or Nectarine Crisp; for fall, Crème Fraiche with Pear Caramel or Cinnamon Apple Crisp; for winter, Blood Orange with Pistachio Cookies or Maple Brown Sugar Pumpkin. Fisher is adamant about quality control and doesn’t sell her machine or plan to franchise Smitten. “I don’t want anything to tarnish our brand,” she says. Chicago-area entrepreneur Kim Oster Holstein believes in marriage – not only her own to husband Scott (they’ve been together 20 years) – but also the marriage of flavors salty and sweet. Those flavors are the inspiration for their innovative product: The Crave Bar, the artisan-style, chocolate-swathed ice cream bar borne, not on a wooden stick, but a crunchy chocolate and caramel dipped pretzel stick. Kim and Scott have introduced the bar to the Chicago-area market and ultimately plan to take it national. Holstein (who served as chair of JWI’s Board of Trustees from 2013 to 2016) has always loved chocolate pretzels. Her husband’s interest in the ice cream business goes back to the 1990s when his family had a Ben & Jerry’s location in Chicago. Those two passions came together and The Crave Bar was born. This is the couple’s second company. They founded the first, Kim & Scott’s Gourmet Pretzels, in 1995 and sold it in 2012, negotiating with the buyers to retain ownership of The Crave Bar. Once the legal issues of retaining ownership were resolved, work began in earnest on building the new brand. One order of business was to create a group of flavors to take to the marketplace. “As food entrepreneurs, we love to think about new food creations all the time,” Holstein says. “We spend a lot of time playing around in the kitchen.” Once they come up with ideas, they turn them over to artisan creamery chefs, who help them figure out how to capture the right flavor profile. The newest flavors are “Salted Caramelicious,” “Peanut Butter Bash,” and “Mint Mayhem,” joining the three original flavors “Dark Chocolate Decadence,” “Milk Chocolate Madness” and “Cappuccino Craze.” “We love brainstorming clever names, too,” says Holstein. Each variety features its own unique union of super premium ice cream, pretzel crunch and real chocolate, with a final touch of sea salt, or in the case of Cappuccino Craze, roasted coffee grinds. “Our focus is on getting to know our target market instead of trying to please everyone and be everywhere,” she says. The Crave Bar is currently available at places where foodies tend to shop in the Chicago area—select Whole Foods locations, a local gourmet grocery chain called Mariano’s, and other smaller artisan markets. Kim and Scott Holstein in their Crave Bar food truck. Photo courtesy of The Crave Bar. The Crave Bar in Dark Chocolate Decadence. Photo courtesy of The Crave Bar. Last summer, Holstein and her husband ramped up the product’s local presence. The Crave Bar food truck was on hand at a number of festivals and events including the Taste of Chicago, the world’s largest food festival. A Crave Bar location at the Navy Pier on Lake Michigan debuted in time for July 4th festivities. “It’s in a very cute small Crave house facing the lake,” she says. Ongoing catering for weddings, bar mitzvahs and office buildings also continue. “We are a small company building a brand and continue to tweak the product and the packaging,” Holstein says. Recently, for example, they undertook a study of types of chocolate available and decided to make a switch to Callebaut chocolate, one they felt would be more distinctive. While Crave Bars are sold and packaged individually, they also are investigating adding bite-sized Crave Bars to their product line and are in the midst of research about creating a gluten-free version, a challenge since gluten free pretzel rods as yet are hard to come by. Before taking the brand national, “we have to be completely ready,” Holstein says. They’ll need to have a plan in place for distribution and shipping to all parts of the country, not to mention a marketing plan and budget, and have recently moved to a larger production facility to handle increasing demand. 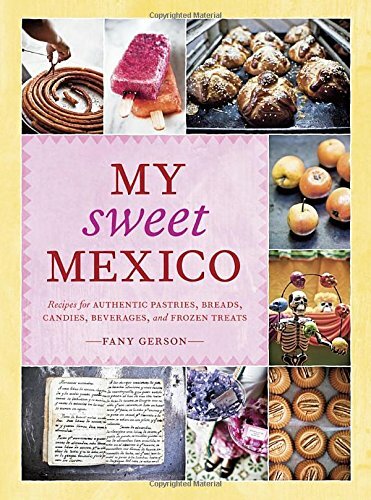 One of Fany Gerson’s favorite ice cream memories, which she relates in her 2010 cookbook, My Sweet Mexico (Ten Speed Press), was a visit some years ago with her aunt Alex to an ice cream town on the outskirts of Mexico City. Along the street were about 15 ice cream vendors. Each stand featured between 10 and 15 varieties, all homemade with flavors created from local produce and spices. By the time she and her aunt got back to the car, they had tried at least 15 kinds of ice cream. A graduate of the Culinary Institute of America, Gerson came to the U.S. alone at age 19. Her parents, brother, grandmother and other relatives still live in Mexico City. Considered a U.S. authority on Mexican confections, she has also worked at fine restaurants both in New York and abroad. She started by selling paletas, the rectangular, flavor-packed ice pops on a stick that she had enjoyed as a child. “Every little town has at least one paletería (paleta shop) and to Mexicans, paletas are like gelatos to Italians, a delicious and integral part of the culture,” the La Newyorkina website explains. 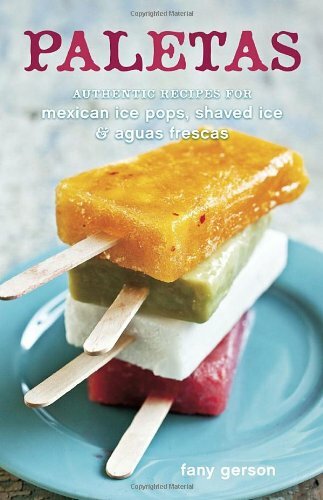 Gerson’s second cookbook, published in 2011, is devoted to the icy treat. Entitled Paletas (Ten Speed Press), it showcases many ways to make them. Either water or cream/milk based, you can include an array of fruits, spices, nuts and other ingredients. At Newyorkina, says Gerson, “We have a lineup of nine flavors that include coconut, pink limeade hibiscus, horchata [Mexican rice milk made with cinnamon] and Mexican chocolate.” The bestsellers are probably mango chile and cucumber lime, she adds. Other flavors come and go seasonally. She started selling the ice pops in 2010 from a cart at the Hester Street fair. (On her website, the Village Voice is quoted as saying of them: “The best thing we ate at the Hester Street Fair.”) She now has multiple carts, in addition to her shop in Brooklyn. Her paletas are also available in other stores; a list of these appears on La Newyorkina’s website. The company also offers catering. Gerson’s native country is never far from her thoughts: A portion of La Newyorkina’s sales is donated to an organization called Crea that helps create employment opportunities in Mexico for low-income women. “These women are amazing and a continuous inspiration,” she says. A line of old-fashioned Mexican confections has been added to La Newyorkina’s offerings and Gerson is at work on a third cookbook – this one on Mexican ice creams. “I am so excited,” she says. Sue Tomchin is editor of JW magazine.